Negotiations between Tokyo and Moscow over their decades-old territorial dispute could be affected by a possible U.S. military presence on any of the disputed islands if they are returned to Japan. Prime Minister Shinzo Abe and Russian President Vladimir Putin are due to meet on the sidelines of the Group of 20 summit later this week in Buenos Aires to discuss the issue and are likely to agree to set up a high-level framework for future discussions to speed up talks toward concluding a bilateral postwar peace treaty, Japanese government sources said Wednesday. Abe and Putin recently agreed to use the 1956 Japan-Soviet Union joint declaration as the basis of bilateral negotiations on concluding a World War II peace treaty. The declaration calls for the handover of Shikotan and the Habomai group of islets to Japan, the smallest of the Russian-held islands, after the conclusion of a peace treaty. But a Russian presidential spokesman was quick to note that the latest agreement does not mean the automatic transfer of the disputed land to Japan, a possible sign of diplomatic maneuvering by Putin. According to other Japanese government sources, Moscow prioritizes a commitment from Tokyo not to allow any U.S. military bases to be constructed on either Shikotan or the Habomai group after the possible handover. Known as the Northern Territories in Japan and the southern Kurils in Russia, the islands located off Hokkaido are of major importance to Russia in terms of national security. 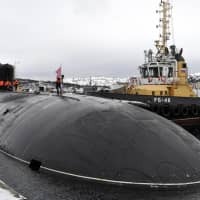 The Sea of Okhotsk harbors Borei-class nuclear-powered submarines equipped with nuclear missiles that can reach the U.S. mainland, according to Japanese Self-Defense Forces sources. The submarines allow for the capability of a so-called second strike response in the event of a first strike from the United States. 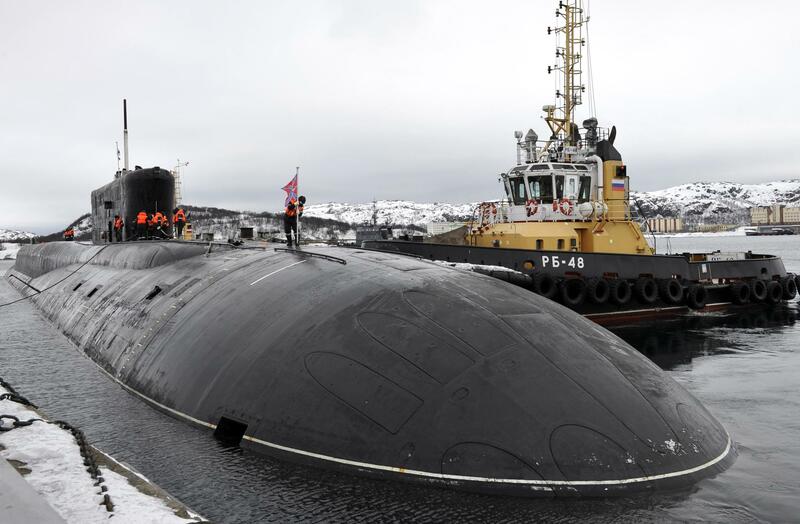 There is a base for Borei-class submarines on the Kamchatka Peninsula, while Vladivostok hosts a base for Russian Navy vessels and a facility for repairing nuclear-powered submarines. For Russia, the Kuril Islands and the disputed islands constitute a strategic area through which submarines and other ships can have free access to the Pacific Ocean. They also make up a defense line that keeps other countries at bay. Surface-to-ship missiles that can hit the eastern part of Hokkaido are deployed on Kunashiri and Etorofu, the largest two of the Russian-held islands. According to the Defense Ministry in Tokyo and other sources, Camp Chitose is the only base in Hokkaido managed by the U.S. military under the Japan-U.S. Status of Forces Agreement. The Self-Defense Forces use most of the base site in Chitose..
“The U.S. military could deploy sonar to detect Russian nuclear submarines on the seafloor off Shikotan, near the Kunashiri Channel, if it were to use the two islands for military purposes,” a former SDF official said. A U.S. base, if constructed near the key defense line, would be a major embarrassment for Putin and put him under heavy pressure from the Russian military. Under the Japan-U.S. Security Treaty, the United States can set up military installations on Japanese territory if Tokyo gives formal consent. If Tokyo pledges to Moscow that no U.S. base will be built on the two islands after they are returned, the islands would become an exception to the treaty. It is believed Washington would be reluctant to have Tokyo make the Northern Territories an exception while it guarantees protection over the Japan-controlled, China-claimed Senkaku Islands in the East China Sea. If the United States ever agrees to such an agreement for the northwestern Pacific islands, Washington could drop its commitment to defend the Senkakus, analysts said. The islands located off Hokkaido were seized from Japan by Soviet troops in the closing days of the war. The dispute over them has prevented Japan and Russia from concluding a peace treaty to put a formal end to their wartime hostilities.